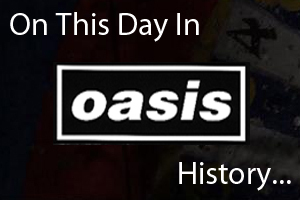 On September 23rd 1994 Oasis played at Moe's Cafe in Seattle, USA. Listen to a bootleg of a gig below. Oasis released the single Little By Little/She Is Love on September 23rd 2002. The videos below are from September 23rd 2008, when Zane Lowe caught up with the band to discuss a number of various subjects.